Access to this course expires on: January 20, 2020. This course is a unique opportunity to explore the most common neoplasms and medical injury patterns in the liver and gastrointestinal tract, in the context of their relevant differential diagnoses, with six experts devoted to precise diagnosis and pathologists’ education. 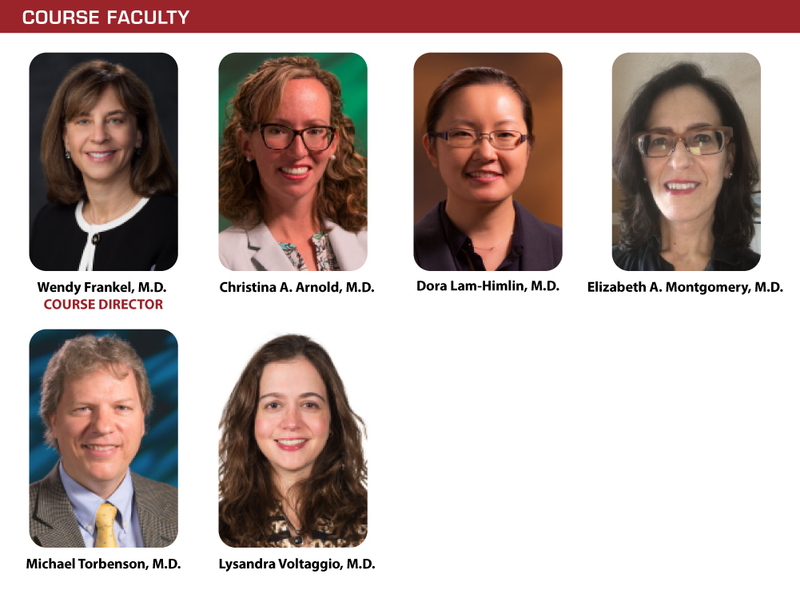 These mentors from The Johns Hopkins Hospital, Mayo Clinic, and The Ohio State University will share their collaborative experience to challenge your skills and refine your approach. Close practice gaps, improve professional performance and optimize outcomes with a refined perspective that you take away from this unique mentoring experience. The United States and Canadian Academy of Pathology designates this enduring material for a maximum of 12 AMA PRA Category 1 CreditsTM. Physicians should claim only the credit commensurate with the extent of their participation in the activity. The USCAP is approved by the American Board of Pathology (ABP) to offer Self-Assessment credits (SAMs) for the purpose of meeting the ABP requirements for Continuous Certification (CC). Registrants must take and pass the post-test in order to claim SAMs credit. Physicians can earn a maximum of 12 SAM credit hours. The following faculty reported no relevant financial relationships: Wendy Frankel, M.D., Christina A. Arnold, M.D., Dora Lam-Himlin, M.D., Elizabeth A. Montgomery, M.D., Michael Torbenson, M.D., Lysandra Voltaggio, M.D.